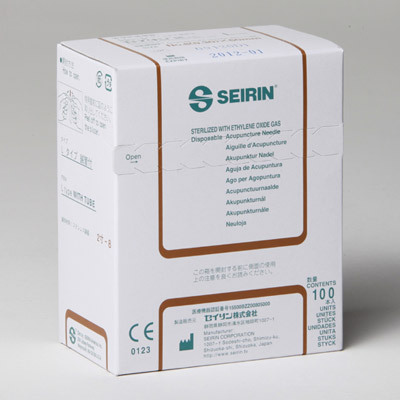 Every SEIRIN ® L-type needle is made entirely of stainless steel and is especially suitable for electro-stimulation and moxibustion. They are supplied in a plastic guide tube sealed within sterile blister packs. The guide tube means that the L-type needle glides smoothly into the patient's skin and makes it easy for the therapist to keep their treatment pain-free. L-type needles are produced in various sizes, each distinguished by colour.